Automotive industry is a highly diversified sector. 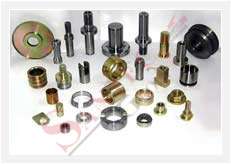 The automobile and automotive parts & components manufacturers constitute a major part of the industry. The turnover of the auto component industry was estimated to over US$ 18 billion in 2007-08. This records an increase of 27.2 per cent since 2002-2003. This turnover is likely to touch US$ 40 billion by 2015-16. In addition to this, global automobile manufacturers see India as the next major auto components manufacturing hub and rapidly increasing their investment for the same.